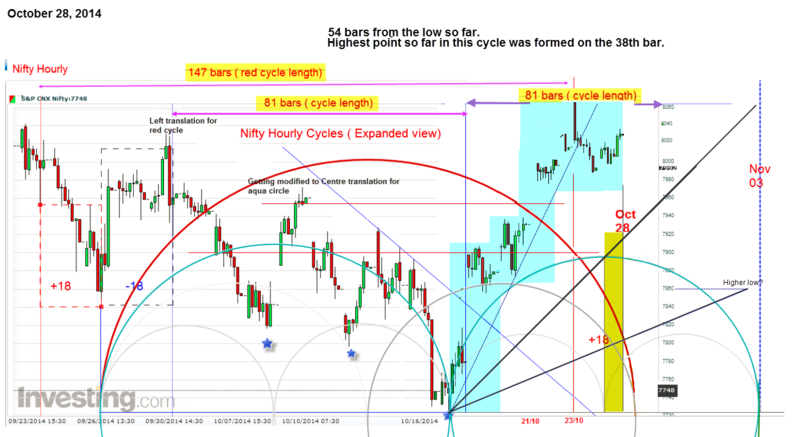 The current cycle has crossed the half way mark and is still bullish. The current hourly bars are quite far away from the time line. However the bars have fallen out of the steep rise trendline. This means the momentum has slowed, despite an upmove today.Since the cycle top is near, we may expect some correction. Watch out for a good bar reversal or three continuous lower tops and bottoms on the hourly, to reverse long positions. The momentum charts till a similar story. 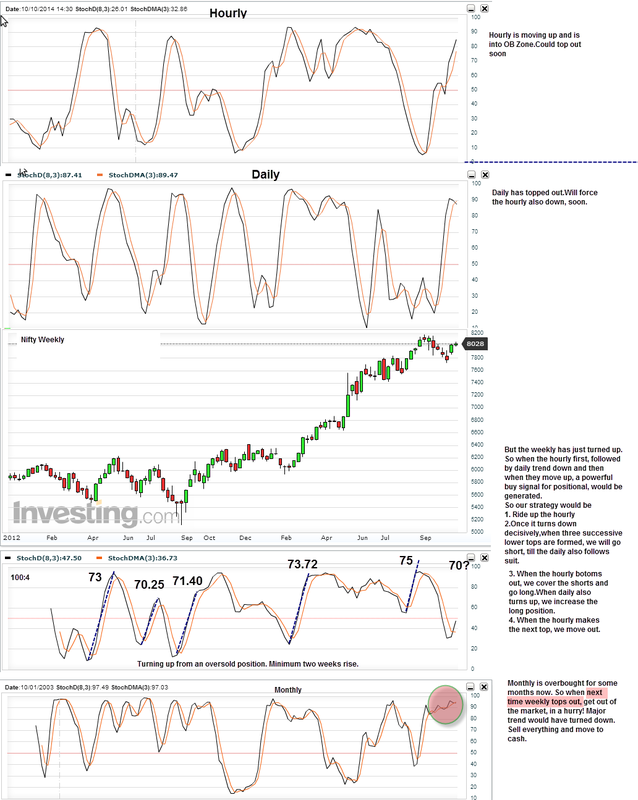 Reading together, we get a number of trade set ups. Importantly, after a low in early November, we may expect a good rise, looking at the Weekly charts. We will look at the wave counts tomorrow.